Ontario Motorists will want to read this case. Provincial Court Justice Shaun Nakatsuru ruled that it was alright for a motorist to briefly hold their cell phone while driving. The facts of the case are interesting for anyone to read (lawyer or not). Disclaimer Alert! This article is not intended to be legal advice and I am NOT advocating that you now go around holding your active cell phone while driving. That’s not cool. On April 26, 2010, the accused KHOJASTEH KAZEMI was returning to work from the CAS in Oshawa. She dropped her cell phone in the car while driving home on the DVP. She did not pick up her cell phone while driving on the highway. She arrived at a red light at the corner of Gerrard St. and River St. in Toronto, and proceeded to pick up her cell phone from the floor of the car. A Toronto Police Office, PC Miller was standing at the corner on traffic duty. He saw Ms. Kazemi reaching down of the floor of her car, and he believed that she was pressing bottons on a cell phone. 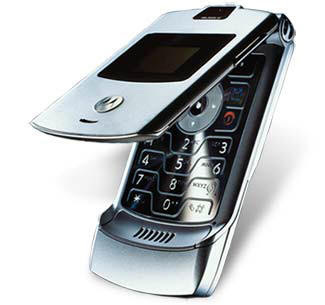 PC Miller tapped on Ms. Kazemi’s window and saw that she was holding an open Nokia flip phone (do those even exist anymore?). PC Miller gave Ms. Kazemi a ticket under the new provisions of the Highway Traffic Act (ss 78.1) under the distracted driver provisions of the Act. Ms. Kazemi fought the fine and pleaded “not guilty”. At trial, Justice of the Peace Ruby Wong stuck to the letter of the law and convicted Ms. Kazemi for breaching the distracted driver provisions of the Highway Traffic Act. She was ordered to pay a $200 fine, and it likely affected her car insurance rates. This would have been classified as a “moving violation“. Too many “moving violations” (like car accidents), will cause your insurance rates to skyrocket. Ms. Kazemi appealed the fine and the Justice of the Peace’s Ruling. In his decision, Ontario Provicial Court Judge NAKATSURU allowed Kazemi’s appeal and withdrew the fine and conviction. The Judge’s reasons are a great read, and are available here. If you’ve never read a legal decision before, this is a good starter read because the legal issues aren’t that complicated, and it’s a topic which relates to everyone.There’s also a great summary provided by the Toronto Star of the case. Here’s a link to that article as well. In my view, the justice of the peace erred by finding that even on the appellant’s own evidence she had committed an offence by “holding” her cell phone. Such a momentary handling of a cell phone does not fall within the meaning of “holding” as found in the provision. The conviction is unreasonable and the appellant will be acquitted of the charge. Here’s the deal. Distracted driving causes car accidents. It causes injury to innocent accident victims. Don’t believe me? I see it every day. Come spend a day at our law firm and we will show you the traumatic effect that not paying complete attention to the road has. While I agree that holding an inoperative cell phone in a car shouldn’t be a crime, I think the Judge’s decision will leave the door wide open to drivers to give them a plausible defence to such a charge under the provisions of the Highway Traffic Act. In law, we call this a “slippery slope“. In addition, somebody reading the decision or the media coverage which this case received may also give drivers the wrong impression about the state of the law in this area. It may give the impression that motorists have carte blanche to hold their phones while driving, and periodically check emails, text messages etc., so long as they aren’t doing it for a long time. I realize that’s not the crux of the Judge’s decision, but one accident where somebody gets brain injured, losses a limb or even dies, is one poor decision too many. In more uplifting news, is anyone else paying attention to activity in the NBA free agent market right now? Kyle Lowry and Landry Fields to the Raptors? Steve Nash to the Lakers? If the Raps can’t attract a free agent like Steve Nash, I’m doubting whether or not we will ever be able to attract or retain some real talent to this market. Looking forward to seeing the new look Raps on the floor.